There has never been a more urgent need to understand what you are eating than now, especially if you have children! We have been systematically poisoned to death by agricultural giants Monsanto, Syngenta and DuPont and friends. They are responsible for promoting the growth of genetically modified / engineered crops in South Africa for the past 15 years. Very simply, genetic engineering mixes the DNA of plants and animals to make them bigger or stronger or more resistant to some perceived threat. But long term studies were never done and the modified DNA has started to transfer from mother to child in the womb. Massive environmental destruction, global monopolization and privatization of the world's food supply, patenting plants and seeds, massive crop failures, linked to 29 diseases and conditions in humans now ... this story will not end well for mankind. You need to educate yourself on the GM issue and make a very swift change to organic, local food sources. These global giants have proven that they cannot be trusted and have been lying to us for decades. The only way to stop them, is to stop buying their products with immediate effect. 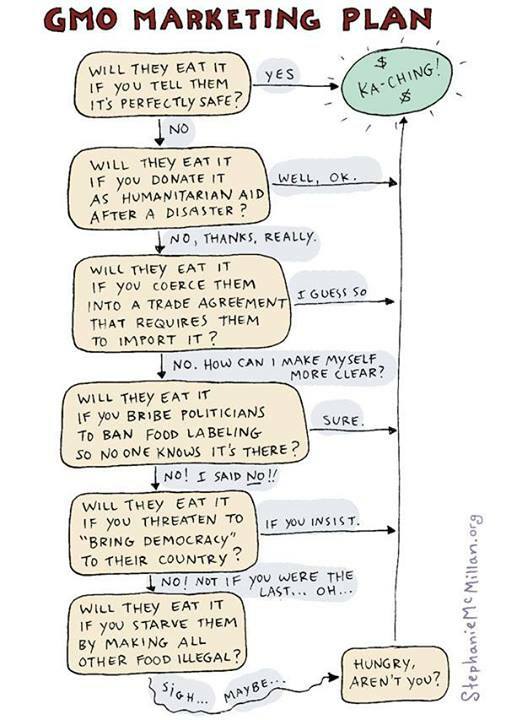 Go organic now! In South Africa, the African Centre for Biodiversity has been fighting for our rights for years and hardly anyone even knows who they are. We need to support them because they are instrumental in getting changes made at legislative level. 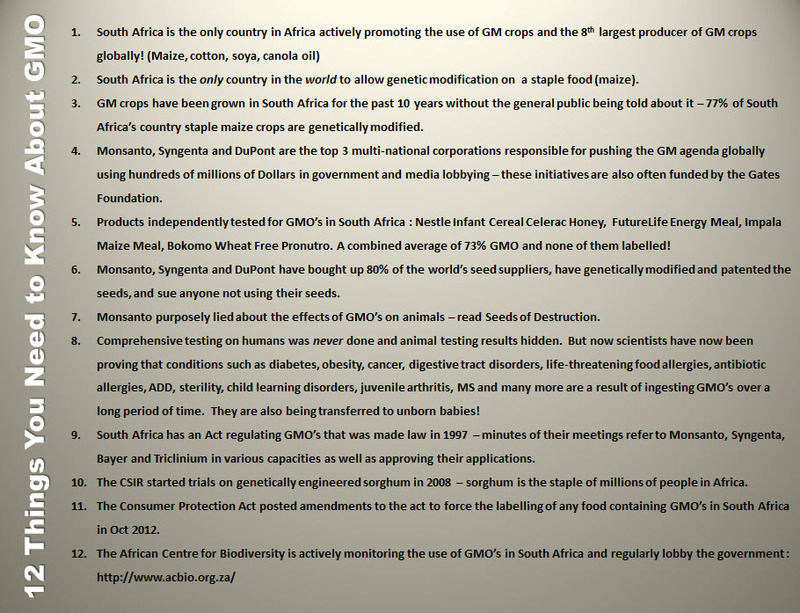 Also check out No GMO South Africa on Facebook and my blog for more GMO thoughts. 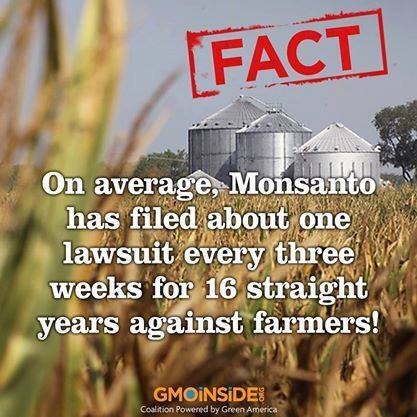 Get tons of information daily with this online newsfeed of Monsanto and GMO links. All free of course. Even More Troubles for Monsanto a 34% drop in earnings, yeah baby! Bhutan Goes Organic A whole country has decided to go organic! Great news story! Whole Foods Forces GMO Labelling by all Suppliers by 2018 The first national grocer to do so, awesome! Why it must take so long though...? Monsanto Has Been Removed And Banned By Austria, Bulgaria, Germany, Greece, Hungary, Ireland, Japan, Luxembourg, Madeira, New Zealand, Peru, South Australia, Russia, France, and Switzerland! And yet it thrives in South Africa and is totally supported by the South African government... why? Seed Freedom a movement by Vandana Shiva to take back our food supply, sign this now! 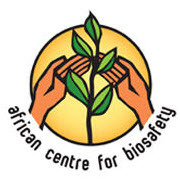 Biophile Magazine - The Threat of Genetically Engineering in South Africa and Africa Did you know that South Africa is the only country in Africa actively planting genetically engineered crops? 76% of our produce has been tampered with! Read the Frankenfood article in the link above. GM Watch Global database of GM spin doctors, myths and information, South Africa features alot! 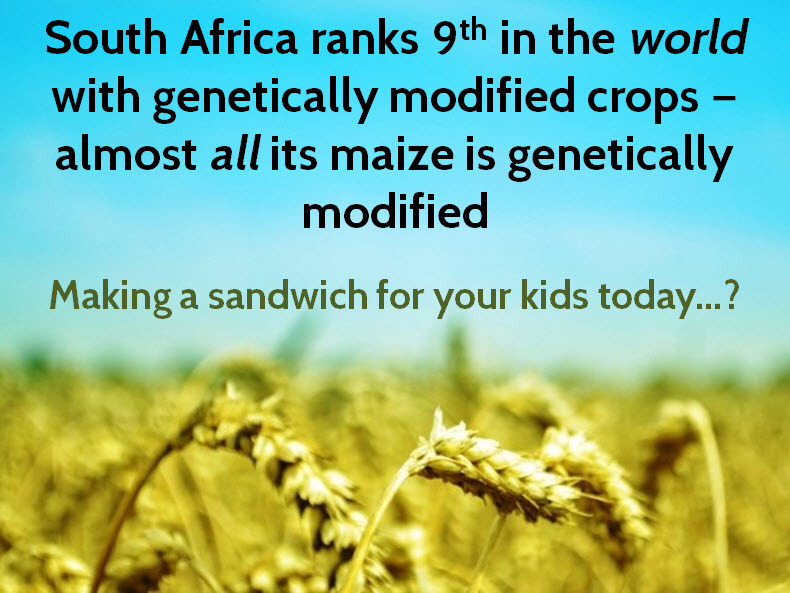 GM Crops in South Africa Supported by Agri SA We rank 9th in the world for GM crops! 9th! 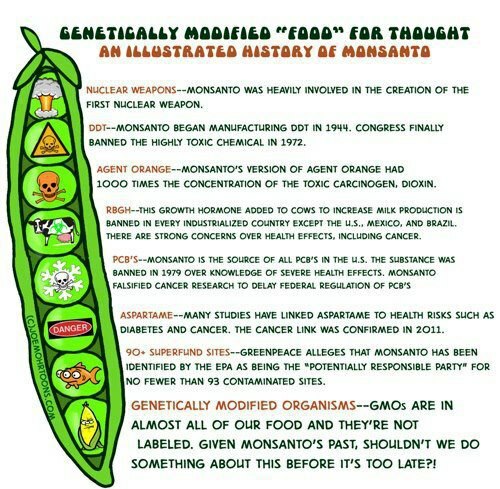 And they've been doing this for a decade already, almost all our crops are genetically modified! IFP Calls for the Ban of GMO's in South Africa Awesome news!! 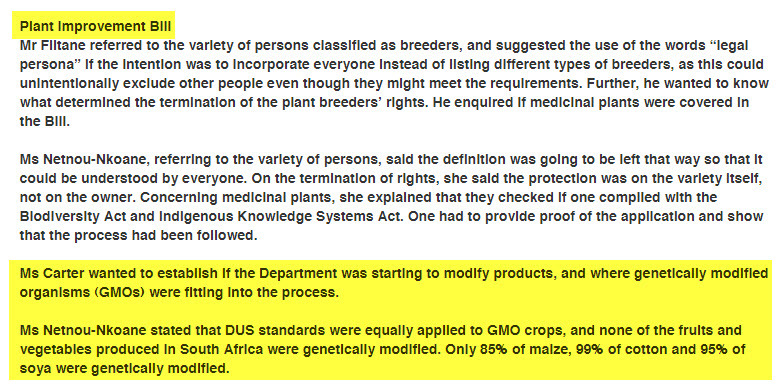 Bio Watch GM watchdogs in KZN, tons of info on the subject on their website, "no seeds, no future"
Monsanto's New "Organic" Veggies I don't trust a thing these people produce, grow your own! is a dramatic thriller that explores the complex world of genetically modified food.